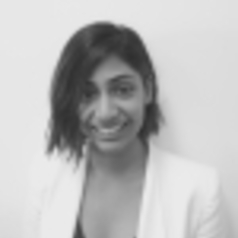 Janani Shanthosh is a University of Sydney PhD candidate with The George Institute for Global Health (Health Economics and Process Evaluation Program) and The Australian Prevention Partnership Centre. Australian and New Zealand Journal of Public Health, Muhunthan J, Angell B, Wilson A, Reeve B, Jan S. Judicial intervention in alcohol regulation: an empirical legal analysis. Australian and New Zealand Journal of Public Health. 2017 Jun 29. Australian and New Zealand Journal of Public Health, Lung TW, Muhunthan J, Laba TL, Shiell A, Milat A, Jan S. Making guidelines for economic evaluations relevant to public health in Australia. Australian and New Zealand journal of public health. 2017 Apr 1;41(2):115-7. BMJ Open, Muhunthan J, Angell B, Hackett ML, Wilson A, Latimer J, Eades AM, Jan S. Global systematic review of Indigenous community-led legal interventions to control alcohol. BMJ open. 2017 Mar 1;7(3):e013932. Quality of Life Research, Angell B, Muhunthan J, Eades AM, Cunningham J, Garvey G, Cass A, Howard K, Ratcliffe J, Eades S, Jan S. The health-related quality of life of Indigenous populations: a global systematic review. Quality of Life Research. 2016 Sep 1;25(9):2161-78. BMJ Global Health, Muhunthan, J., Eades, A. M., & Jan, S. (2016). UN-led Universal Periodic Review highly critical of Australia's record on human rights and health for Indigenous Australians. BMJ global health, 1(1), e000018. International Journal of Stroke, Yu S, Muhunthan J, Lindley R, Glozier N, Jan S, Anderson C, Li Q, Hackett ML. Driving in stroke survivors aged 18–65 years: The Psychosocial Outcomes In StrokE (POISE) Cohort Study. International Journal of Stroke. 2016 Oct;11(7):799-806. BMC Neurology, Allers K, Essue BM, Hackett ML, Muhunthan J, Anderson CS, Pickles K, Scheibe F, Jan S. The economic impact of epilepsy: a systematic review. BMC neurology. 2015 Nov 25;15(1):245. The Lancet, Muhunthan J, Eades AM, Jan S. Neglecting preventive health threatens child rights in Australia. Lancet. 2015 Jan 31;385(9966):415. PLOS ONE, Angell BJ, Muhunthan J, Irving M, Eades S, Jan S. Global systematic review of the cost-effectiveness of indigenous health interventions. PloS one. 2014 Nov 5;9(11):e111249.